I just went with my feeling, a little of this, a pinch of that, and a sprinkle of the other, and so forth. It tasted delicious, even if I have to say so myself and it didn’t last that long. 6 420g tins bake beans with tomato sauce. 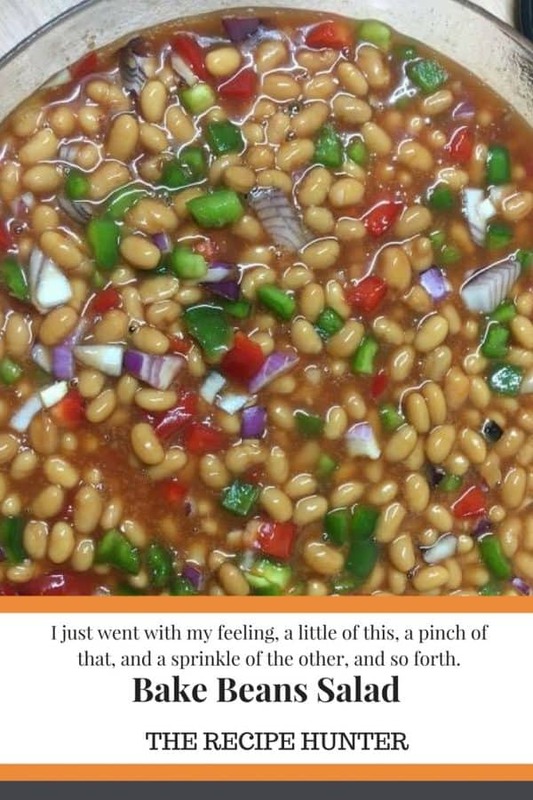 In a bowl, pour the baked beans with the sauce. Pop into the fridge to chill for an hour and serve with BBQ meat.